Maha Shivratri is the annual festival for Hindus, usually on the 13th night of the Tamil month Phalguna, during the late winter and welcoming the spring season. 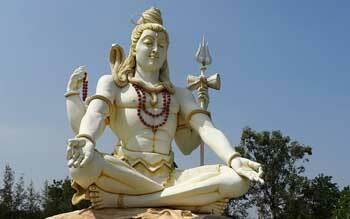 Though Shivratri occurs every month, Maha Shivratri is the Great Night of Lord Shiva. The festival is said to have been organized from 5th Century CE onwards. Maha Shivaratri festival reinstates sincerity, honesty, self - discipline, non - injury to others, refraining from sinful activities. The ardent devotees are vigil throughout night on this day and worship the Lord because this night is revered as the night for overcoming ignorance attaining bliss. Generally, Maha Shivaratri festival falls between mid - February and mid - March.